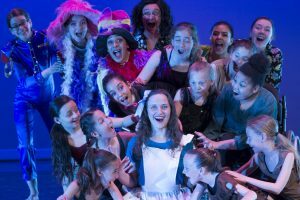 Auditions for the Keshet Fall Production, Alice will be held, August 10, 2019 (Auditions for KP3 are Wednesday, July 31 and include an Alice audition). Call ahead for an age-group audition slot to 505.224.9808. No experience necessary. Cast members and a parent/ guardian must attend a Cast Meeting, dates TBD. Ages 8-108. All abilities, all backgrounds, from kitchen dancers to professional dancers! If you loved participating in Nutcracker on the Rocks…then this show is for you! Join us for an adventure of wonder and wondering! 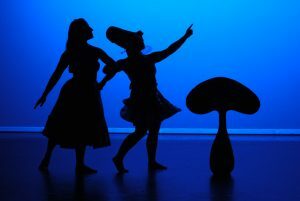 Alice, an adventure of wonder and wondering combines professional and community dancers aged 8 – 80, in a performance conceived and choreographed by Keshet’s Founder and Artistic Director, Shira Greenberg. 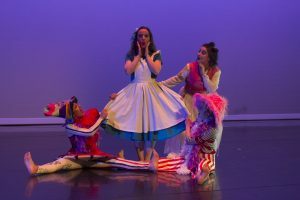 In 2016, Keshet produced the 20th Annual and final run of Shira Greenberg’s Nutcracker on the Rocks, an iconic rock n’ roll re-telling of the Nutcracker story. Like Nutcracker on the Rocks, Keshet’s new production combines dancers of all ages and abilities. “We are excited about this new adventure with our community, exploring our own ‘wonder and wondering’ through the eyes of Alice,” Greenberg said. 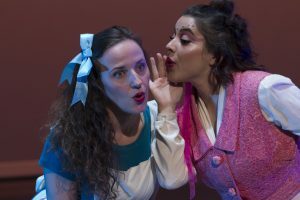 Take a journey with Alice to discover “Anything is possible…anything can be” It’s a show for all ages. With classic rock and jazz influencing, a magical dance performance that will leave you in wonder. * Sensory-friendly performances. 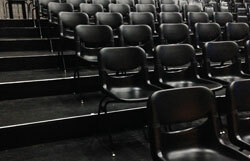 Limited seating available. A great option for families with small children! Traditional meets contemporary for an exciting and magical holiday event. Opening with Tchaikovsky’s Overture and closing with his dramatic Pas de Deux, the classic tale is re-imagined with a production filled with rock and roll hits by the Velvet Underground, Aretha Franklin, The Rolling Stones, Janis Joplin and many more. Modern dance styles infused with Swing, Hip Hop, African dance propel the performers as they amp up the energy and excitement.